Jessy Taylor’s Instagram account with 100,000 followers was deleted by the platform a week ago. She also doesn’t think she would have gotten her account back if it wasn’t for the media coverage. When Instagram influencer Jessy Taylor’s Instagram account was deleted a week ago, she uploaded a video to YouTube tearfully explaining how she was “nothing” without her following and had none of the skills required for a “normal” job. 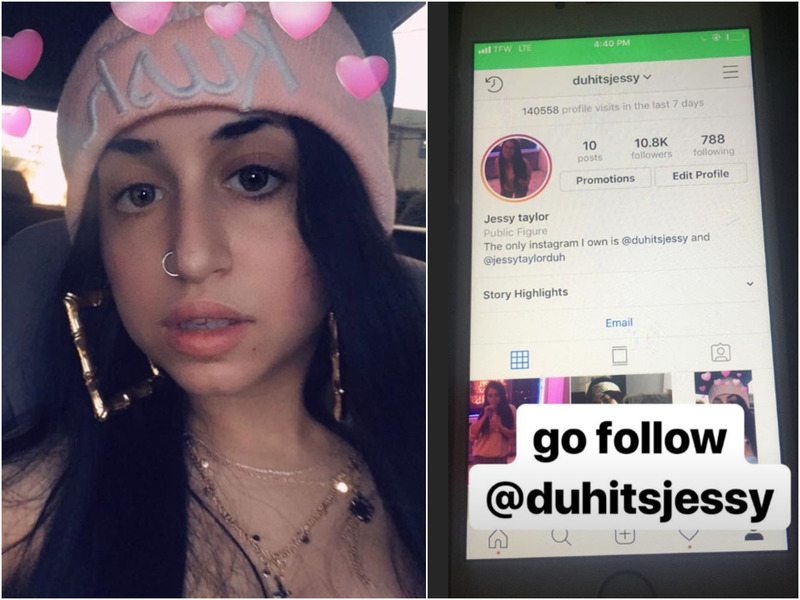 She had over 100,000 followers, but kept getting reported as “spam,” leading Instagram to remove her account. She added that losing her account felt like “a murder,” and she even phoned the police, but they told her she couldn’t compare what happened to a homicide. One of Taylor’s fans gave her a new account, @duhitsjessy, to use, which currently has 13,200 followers. However, just one week after she uploaded the video called “STOP REPORTING MY INSTAGRAM ACCOUNT,” Taylor’s original account has been reinstated. INSIDER previously asked Instagram to explain why Taylor’s account had been removed, but they usually don’t comment on individual cases. But it looks like Taylor’s haters aren’t going anywhere.